Early brohters had paddles and bricks. In the fall of ’66, brother Jeff Prosseda was elected Class President and seated on CGA. At that time, there was a warming to the development of Greek Life by some of the faculty: but not administration. The college was operating under president Harvey Andress. His directive was that no social fraternities would be permitted under his reign. Andress's retirement on Jan 1 1967, CGA opened applications by groups of students for Greeks. There was a cadre of administrators left from the Andress administration who were to make establishment of Frats a very difficult task. Five groups made application. One, ΣIΩ, flew through due to Dept. Head Dr. Warren. Beta Sigma Delta was approved next, followed by DΩC and TKE. Our group attempted to apply as Phi Sigma Pi. And all hell broke loose. application, each of the groups were permitted to take a pledge class in the spring. However, only one (ΣIΩ) had been given official status. Phi Sigma Pi continued to wrestle with the application process as our original pledging group progressed. Phi Sigma PI had no standing other than a group making application . But the process did go on. By the time of our "Founder's Day", that first group were already brothers. Those new brothers along with the Founders voted together to form Delta Pi. Those 34 brothers were all "Charter Brothers". To acknowledge the work of those first 15...they were also designated as "Founders". Delta Pi, as it exists on Bloomsburg University's campus today actually started as Phi Sigma Pi and was originally an educational fraternity of which our founding brothers were members. They were all that was left of that organization after 40 or so brothers left to be part of the fledgling social fraternity movement that was taking place at Bloomsburg State College. The founders left the educational group, kept the letters Phi Sigma Pi, reorganized as a local social fraternity and took its first pledge class during the spring semester of the 1966-1967 school year. The Founding brotherhood consisted of Robert Hinkle (Sage), Bob Niccol (First Counselor), Ken Mattfield (Second Counselor), Ace Faust, (Third Counselor), Bud Rogers (Herald), Al Brunner, Dave Waltman, Chuck Ranck, Jim Rupert, and Gary Cassell. The first pledge class included Don Beuler, Frank (Red) Callahan, John Frey, Bernie Gavlick, Bill Hitchings, George Hopkins, Bill Kelley, Richard Leahy, Steve Messner, Lin Nester, Joe O'Neill, Len Pawlowski, Jim Poechmann, Tom Pratico, Fred Richards, Jim Shaughnessey, Wade Stackhouse, Paul Walters and John Zubeck. This new social fraternity was not officially recognized by BSC, so that process was the next thing that needed to happen. College officials were concerned that Phi Sigma Pi was an established national fraternity and this new organization's use of those letters for a social entity became a point of contention between the brotherhood and the BSC administration. At first, a simple change to Phi Sigma Phi was tried, but that didn't satisfy the governing body at Bloom. A vote was taken and the letters Delta Pi were agreed upon as the group's new name. All the red tape was dealt with and Delta Pi became an officially-recognized social fraternity on April 30, 1967, which we consider to be our "Founders' Day". 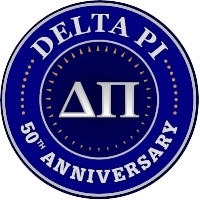 In the spring of 1970, we became the Delta Pi chapter of the Sigma Pi national fraternity, an affiliation which lasted until November 1972, when we resumed local status and the Delta Pi name. During the spring of 1976, the brotherhood purchased The Crag Mansion, located on Bloomsburg's West First Street (click HERE for a photo). The Crag immediately became the symbol Delta Pi's success and vitality. It was also the crowning achievement of BSC's Greek system, as no other fraternity or sorority at Bloom actually owned their own house. Buying such a building was no easy task and the brothers needed help, if it was to be done. No account of Delta Pi would be complete without mentioning the generosity of the Hergan family, whose faith in the brotherhood and financial support made it possible for a bunch of college kids to purchase The Crag. The name Hergan, more than any other, will always hold a position of highest reverence within the fraternity. For multiple reasons, the fraternity lost ownership of the house in 1999. Although a severe blow to the brotherhood, we managed to survive this hardship. A house, after all, is just a building. The true metric of any fraternity lies in the quality of the people associated with it and the bond that is fostered by brotherhood, which has always been our strongest trait. In the spring of 2000, we resumed our affiliation with Sigma Pi, which lasted until 2003. From that point, we were Delta Pi again and remain so to this day. We are proud to be one of the oldest Greek organizations at Bloomsburg University. A resurgence of the alumni association and a continued presence on the Bloomsburg campus by the active brothers gives us a strong sense of optimism for the future of Delta Pi to increase the quality of life for the BU community and to every brother, past and present that proudly wear our letters.